It’s Summer Pie Practice Season. Isn’t that what you call Spring? 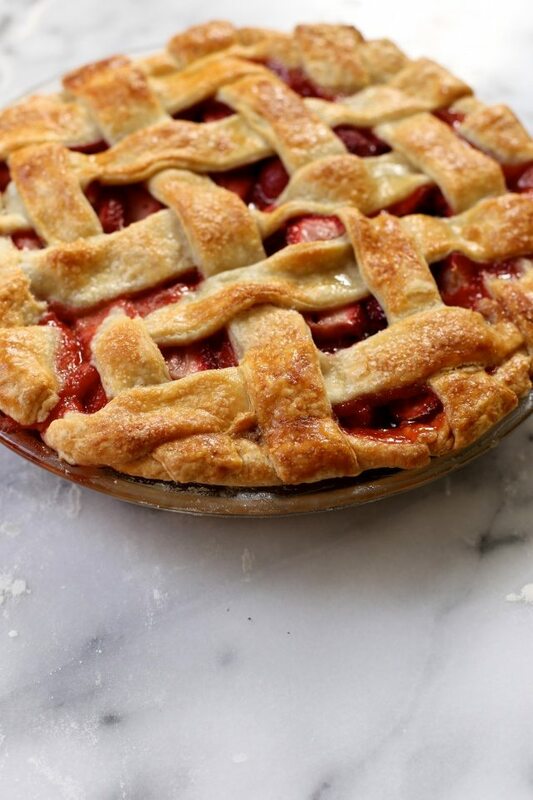 Beautiful strawberries are starting to hit the markets, and they’re a bit early for super sweetness, but not too early to start experimenting with pies and practicing our lattice technique! 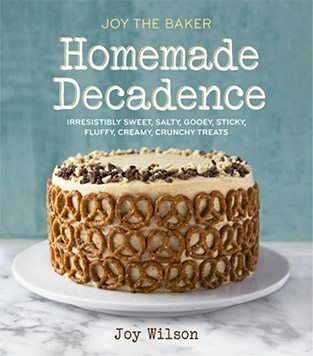 I hope this coming weekend finds you in the kitchen baking away. Maybe throw some blueberries in this pie, or a handful of raspberries. It’s the perfect time to get our Summer frame of mind right. Also, doesn’t everyone want a pie in their house come Sunday night? 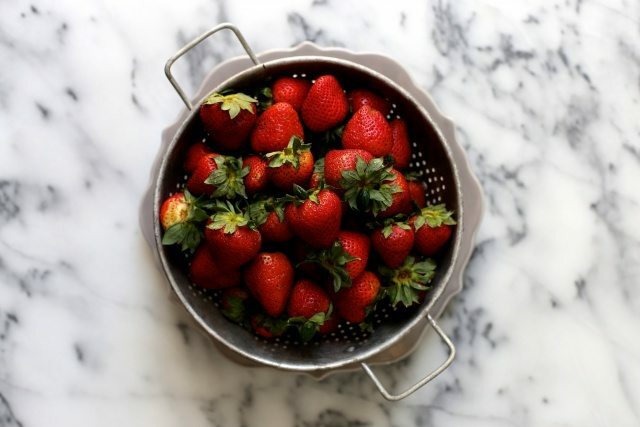 These strawberries are big, beautiful, and not quite sweet enough for pie. Not to worry… nothing a little brown sugar can’t fix right up. For more in pie adventures, see: Gluten-Free Strawberry Ginger Pie or Peach and Blueberry Pie… though it’s a little soon for peaches. I suppose we just need to be more patient before we get all Summer-pie-happy. Here’s the good news: strawberry pie is super simple to make. Sliced strawberries, sugars, cornstarch for thickening, a hint of ground ginger for balance, and lemon to bring out all the flavors! Pie crust… well you know how I feel about pie crust. Make it! You’re a baking champion. All in the bowl. No time to be shy! Toss the strawberries, sugars, and cornstarch until all of the cornstarch has absorbed and disappeared. And it’s time to roll out the chilled dough! You’ll need a good amount of flour, some courage, and a great big rolling pin. This beautiful wooden rolling pin is from Food52. It’s simple and sturdy and really just perfect. Lattice work. 1-inch strips to weave across the top of the pie. It’s like pie magic. No biggie. See all those butter chunks!? That’s no accident. That’s going to create the most flavorful and flakey crust! How to make a lattice pie crust. Step one: hold your breath. Step two: cross your fingers. Step three: close your eyes tightly. Step four: hope for the best. That’s how I bake. You too? Before baking the pie is brushed lightly with egg wash and sprinkled generously with sugar. Put the pie on a pan. Do NOT put the pie on any pan. Just… definitely put the pie on a rimmed baking sheet. That’ll catch all of the drips. Because this pie is for-real juicy. All over the place juicy. Delicious and perfect… and juicy. After it’s baked and golden brown, I let the pie rest for a few hours at room temperature before slicing into it. The juices need to settle down, decide where they want to be, and thicken. If you’re wondering what a slice looks like… well, a delicious mess, that’s what. This pie is packed full of lightly spiced strawberries, juicy beyond compare, and a very nice entrance to the warm days ahead. To make the crust, in a medium bowl, whisk together flour, sugar and salt. Add cold, cubed butter and, using your fingers, work the butter into the flour mixture. Quickly break the butter down into the flour mixture. Some butter pieces will be the size of oat flakes; some will be the size of peas. Create a well in the mixture and pour in the cold buttermilk. Use a fork to bring the dough together. Try to moisten all of the flour bits. On a lightly floured work surface, dump out the dough mixture. It will be moist and shaggy. That’s perfect. Divide the dough in two and gently knead into two disks. Wrap each disk in plastic wrap and refrigerate for 1 hour. Allowing the dough to rest in the refrigerator will help rechill the butter and distribute the moisture. To make the filling, in a medium bowl toss together strawberries, sugars, cornstarch, salt, lemon juice and ground ginger. Toss until all of the cornstarch has disappeared into the strawberries and let rest for 10 minutes. The strawberries will begin to produce juice. To assemble the pie, on a well-floured surface, roll the bottom crust 1/8? thick and about 12? in diameter. Transfer it to a pie pan. Trim the edge almost even with the edge of the pan. To finish, place a rack in the center of the oven and preheat oven to 400 degrees F. Line a baking sheet with parchment paper and set aside. Brush the egg wash over pie crust, then sprinkle with sugar. Place pie on baking sheet and bake for 15 minutes, then reduce the temperature to 350°F and bake the pie for 30 minutes more, or until the crust is golden and the cherry filling is bubbling. Remove from the oven and allow to cool completely before serving. Gorgeous work! I wish emoticons existed in comment sections so that I could send a smiley face with a kiss to this pie…so pretty. Gahh! I was seriously thinking the *exact* same thing this week! Pie Practice Time!!! I made a cherry + almond crumble pie, as well as an asparagus + fontina quiche (used a recipe of yours for inspiration!). Yum all around! A gorgeous spring and summer dessert! I must give this a try soon! What are your thoughts on rhubarb getting in on the mix? I’ve got some in the freezer that I’m looking for a home for. What size pie pan? Also, can I make this with, say, cherries or blueberries? It looks amazing, I might finally be bold enough to make pie from scratch! Strange question, where do you have the most luck finding props? Do you have a go-to place that you like to get your dishes/bowls/measuring spoons from? I made it today and used a 9 inch Pyrex pie plate. I’ve never made my own strawberry pie! Yours looks perfect. And I love the big chunks of butter in your crust! Looks like heaven! I’ve got to start doing some more practice on my lattice pie tops! Okay, I do the same 4 steps as you do when making a lattice pie, but somehow the results aren’t the same. I will happily keep trying though. Yummy! I love homemade strawberry pies especially real homemade without that awful store bought glaze. Here is my homemade strawberry pie, although it’s not baked in the oven like yours is. What a beautiful pie!! I’ve never made my own pie crust before, and after reading this post I def have to give it a try! Loving the strawberries, so excited they’re almost back in season! 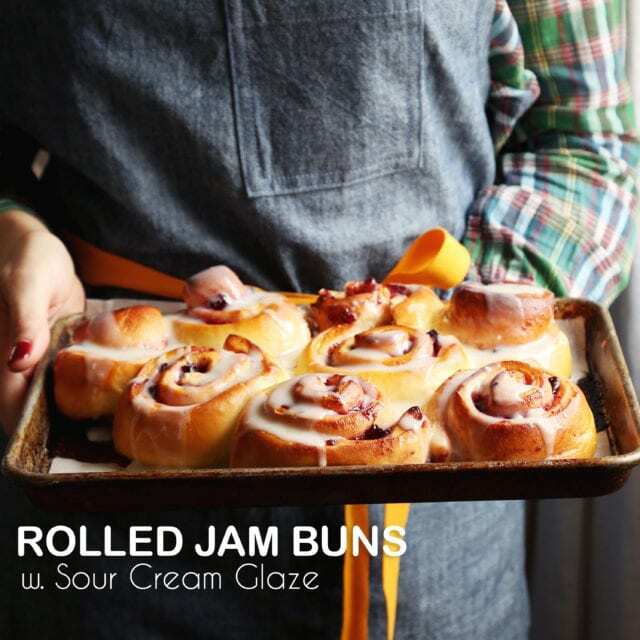 Like those big chunks of butter in your rolled out crust. That tells me the crust will be light and flakey. When I was a kid, I ate a whole stick of butter. Bad idea. But pie, especially strawberry pie is the best. Is it bad if I pass this on to my mom to make for me? Wife hasn’t been making too many desserts lately. Oh god, this looks delicious!